The principles in this statement are intended to guide the development of cataloguing codes and the decisions that cataloguers make. 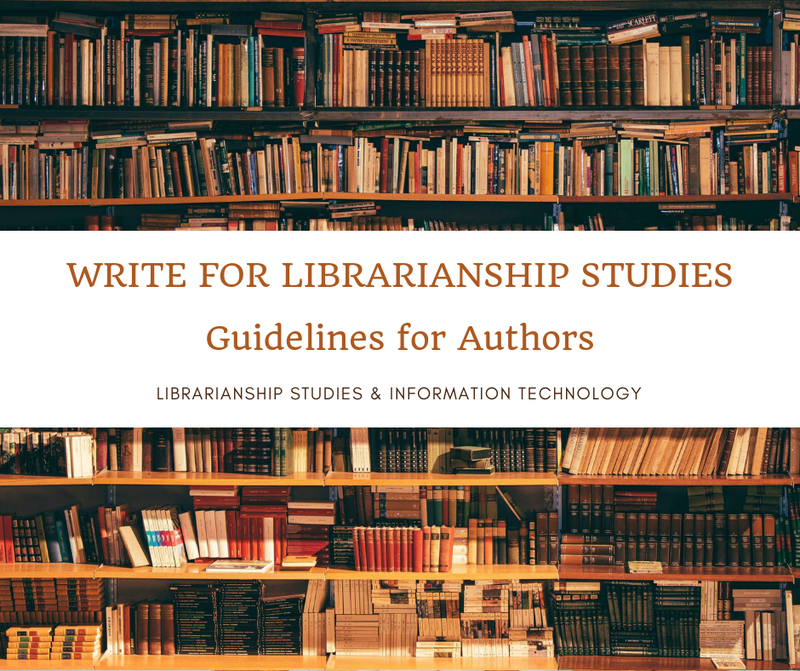 They apply to bibliographic and authority data, and consequently to current library catalogues, bibliographies and other datasets created by libraries. They aim to provide a consistent approach to descriptive and subject cataloguing of bibliographic resources of all kinds. The following principles direct the construction and development of cataloguing codes, the decisions that cataloguers make and policies on access to and exchange of data. Of these, the convenience of the user is the most important, while principles 2.2 through 2.13 are in no particular order. If there is a conflict among principles 2.2-2.13, the principle of interoperability should be rated higher than others. 2.1. Convenience of the user. Convenience means that all efforts should be made to keep all data comprehensible and suitable for the users. The word “user” embraces anyone who searches the catalogue and uses the bibliographic and/or authority data. Decisions taken in the making of descriptions and controlled forms of names for access should be made with the user in mind. 2.2. Common usage. Vocabulary used in descriptions and access points should be in accordance with that of the majority of users. 2.3. Representation. A description should represent a resource as it appears. Controlled forms of names of persons, corporate bodies and families should be based on the way an entity describes itself. Controlled forms of work titles should be based on the form appearing on the first manifestation of the original expression. If this is not feasible, the form commonly used in reference sources should be used. 2.4. Accuracy. Bibliographic and authority data should be an accurate portrayal of the entity described. 2.5. Sufficiency and necessity. Those data elements that are required to: facilitate access for all types of users, including those with specific needs; fulfil the objectives and functions of the catalogue; and describe or identify entities, should be included. 2.6. Significance. Data elements should be relevant to the description, noteworthy, and allow for distinctions among entities. 2.7. Economy. When alternative ways exist to achieve a goal, preference should be given to the way that best furthers overall expediency and practicality (i.e., the least cost or the simplest approach). 2.8. Consistency and standardization. Descriptions and construction of access points should be standardized as far as possible to enable consistency. 2.9. Integration. The descriptions for all types of resources and controlled forms of names of all types of entities should be based on a common set of rules to the extent possible. 2.10. Interoperability. All efforts should be made to ensure the sharing and reuse of bibliographic and authority data within and outside the library community. For the exchange of data and discovery tools, the use of vocabularies facilitating automatic translation and disambiguation is highly recommended. 2.11. Openness. Restrictions on data should be minimal in order to foster transparency and conform to Open Access principles, as declared also in the IFLA Statement on Open Access. Any restriction on data access should be fully stated. 2.12. Accessibility. The access to bibliographic and authority data, as well as searching device functionalities, should comply with international standards for accessibility as recommended in the IFLA Code of Ethics for Librarians and other Information Workers. 2.13. Rationality. The rules in a cataloguing code should be defensible and not arbitrary. If, in specific situations, it is not possible to respect all the principles, then defensible, practical solutions should be found and the rationale should be explained. The entities are the key objects of interest to users in a particular domain. Each entity can be described by its primary characteristics, called attributes. The attributes of the entity serve also as the means by which users formulate queries and interpret responses when seeking information about a particular entity. The relationships explain the connections between and among entities. Cataloguing should take into account the entities, attributes, and relationships as defined in conceptual models of the bibliographic universe. The conceptual models taken into consideration are Functional Requirements for Bibliographic Records (FRBR), Functional Requirements for Authority Data (FRAD) and Functional Requirements for Subject Authority Data (FRSAD). 3.2 Attributes: The attributes that identify each entity should be used as data elements. 3.3 Relationships: Bibliographically significant relationships among the entities should be identified. 4.1 In general, a separate bibliographic description should be created for each manifestation. 4.2 A bibliographic description typically should be based on the item as representative of the manifestation and may include attributes, or link to attributes, that pertain to the item and to the embodied work(s) and expression(s). 4.3 Descriptive data should be based on an internationally agreed standard. For the library community, this standard is the International Standard Bibliographic Description (ISBD). 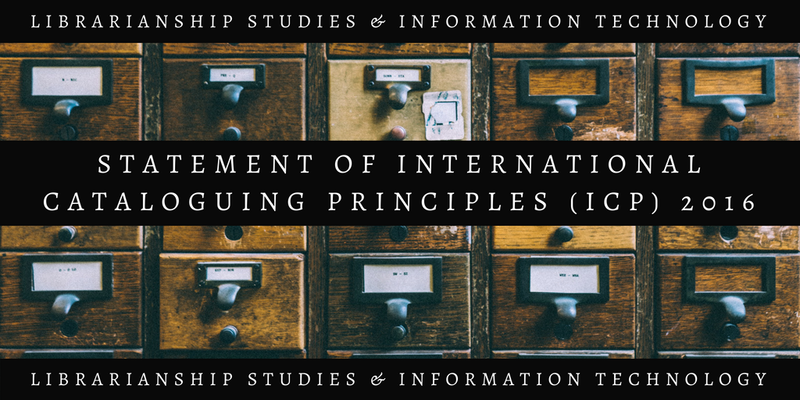 When based on a different standard, all efforts should be made to provide open access to published mappings between the standard used and the International Standard Bibliographic Description (ISBD), to foster better interoperability and accurate reuse of information. 4.4 Descriptions may be at several levels of completeness, depending on the purpose of the catalogue or bibliographic dataset. Information about the level of completeness should be conveyed to the user. Access points for retrieving bibliographic and authority data should be formulated following the general principles (see 2. General Principles). The access points may be controlled or uncontrolled. 5.1.1 Controlled access points should be provided for the authorized and variant forms of names for such entities as person, family, corporate body, work, expression, manifestation, item, and thema. Controlled access points provide the consistency needed for collocating the bibliographic data for sets of resources. Authority data should be constructed to control the authorized forms of name, variant forms of name, and identifiers used as access points. 5.1.2 Uncontrolled access points may be provided as bibliographic data for names, titles (e.g., the title proper as found on a manifestation), codes, keywords, etc., not controlled in authority data. 5.2.1 Authorized access points for works and expressions (controlled) embodied in the resource, the title of the manifestation (usually uncontrolled), and the authorized access points for the creators of works, should be included as access points to bibliographic data. A corporate body should be considered as the creator of those works that express the collective thought or activity of the corporate body, or when the wording of the title, taken in conjunction with the nature of the work, clearly implies that the corporate body is collectively responsible for the content of the work. This applies even if a person signs the work in the capacity of an officer or servant of the corporate body. 5.2.2 Additional authorized access points for persons, families, corporate bodies, and subjects should be provided to bibliographic data, when deemed important for finding and identifying the bibliographic resource being described. 5.2.3 The authorized form of name for the entity, as well as the variant forms of name, should be included as access points to authority data. 5.2.4 Additional access may be provided through names of related entities. The authorized access point for the name of an entity should be recorded as authority data along with identifiers for the entity and variant forms of name. An authorized access point may be used as a default form for displays in the catalogue. 5.3.1 Authorized access points must be constructed following a standard. 5.3.2.1.1 However, if the original language and/or script is not normally used in the catalogue, the authorized access point may be based on forms found on manifestations or in reference sources in one of the languages and/or scripts best suited to the users of the catalogue. 5.3.2.1.2 Access should be provided in the original language and script whenever possible, through a controlled access point, either the authorized form of name or a variant form of name. 5.3.2.2 If transliterations are desirable, an international standard for script conversion should be followed. The name preferred as the authorized access point for an entity should be based on the name that identifies the entity in a consistent manner, either as most frequently found on manifestations or a well-accepted name suited to the users of the catalogue (e.g., ‘conventional name’) as found in reference sources. If a person, family, or a corporate body uses variant names or variant forms of names, one name or one form of name should be chosen as the basis for the authorized access point. b) the official name, where there is no indication of a commonly known or conventional name. 5.3.3.1.2 If a corporate body has used different names in successive periods that cannot be regarded as minor variations of one name, each entity identified by a significant name change should be considered a new entity. The corresponding authority data for each entity should be linked, usually by relating the earlier and later authorized forms of names for the corporate body. When a work has multiple titles, one title should be preferred as the basis for the authorized access point for the work, expression, manifestation, and item. b) the title commonly used. When the name of a person consists of several words, the choice of first word for the authorized access point should follow conventions of the country and language most associated with that person, as found in manifestations or reference sources. When the name of a family consists of several words, the choice of first word for the authorized access point should follow conventions of the country and language most associated with that family, as found in manifestations or reference sources. 5.3.4.3.2 when the corporate body’s name implies subordination, or subordinate function, or is insufficient to identify the subordinate body, the authorized access point should begin with the name of the superior body. An authorized access point for a work, expression, manifestation, or item may be created either from a title that can stand alone or from a title combined with the authorized access point for the creator(s) of the work. If necessary, to distinguish an entity from others of the same name, further identifying characteristics should be included as part of the authorized access point for an entity. If desirable, the same identifying characteristics may be included as a part of the variant forms of name. Whatever name is chosen for the authorized access point, the variant names and variant forms of name should also be recorded as authority data for controlled access. beyond the catalogue, to other catalogues and in non-library contexts. Access points 1) provide reliable retrieval of bibliographic and authority data and their associated bibliographic resources and 2) collocate and limit search results. Names should be searchable and retrievable by means of any device available in the given library catalogue or bibliographic file (by full forms of names, by keywords, by phrases, by truncation, by identifiers, etc.). Data should be open and searchable even by non-library devices in order to increase interoperability and reuse. Essential access points are those based on the main attributes and relationships of each entity in a bibliographic description. standard numbers, identifiers, and ‘key titles’ for the described entity. controlled names (e.g. subject access points and/or classification numbers) for the work. Other attributes from bibliographic data or authority data may serve as optional access points or as filtering or limiting devices for a search. When searching retrieves a large number of bibliographic data with the same access point, results should be displayed in some logical order convenient to the catalogue user, preferably according to a standard relevant to the language and/or script of the access point. The user should be able to choose among different criteria: date of publication, alphabetical order, relevance ranking, etc. When possible, preference should be given to a display showing entities and the relationships among them.